The Philadelphia Navy Yard was one of five government shipyard established at the start of the nineteenth century to support the infant United States Navy. Originally located in the Southwark section of the city, the Philadelphia Navy Yard conducted ship repair and construction through the Antebellum period. In its first sixty years the Yard would see the fleet transition from sail to steam, and adjust its workforce accordingly. With the coming of the Civil War, the Philadelphia Navy Yard was challenged by the demands of the growing Federal Navy, and the new technologies introduced into naval warfare. The Civil War was also the catalyst for the move of the Yard from its original location to League Island. A move that would establish the Philadelphia Naval Shipyard as one of the nation’s important naval industrial sites during World War II and the Cold War. In his presentation, naval historian and archivist Joseph-James Ahern will explore the history of the Navy Yard, from its establishment in 1801 to its closure in 1995. The talk will explore how the events of the Civil War impacted the Yard, and were the catalyst for the changes that lead to its development as an important twentieth century industrial site. Joseph-James Ahern is currently a senior archivist at the University Archives and Records Center at the University of Pennsylvania in Philadelphia. A resident of Riverside, N.J., Mr. Ahern graduated from Rutgers University – Camden with a Master of Arts in Public History. He has worked for such notable institutions as the Atwater Kent Museum – The History Museum of Philadelphia, and the American Philosophical Society Library. He has also been a consulting historian to the National Archives and Records Administration – Mid-Atlantic Region for their exhibit Mainstay of the Fleet: The Philadelphia Navy Yard 1801–1997, and Pennsylvania Hospital Historic Collections for their exhibit From Wharf to Ward: Pennsylvania Hospital & Maritime Health, 1799–1830. 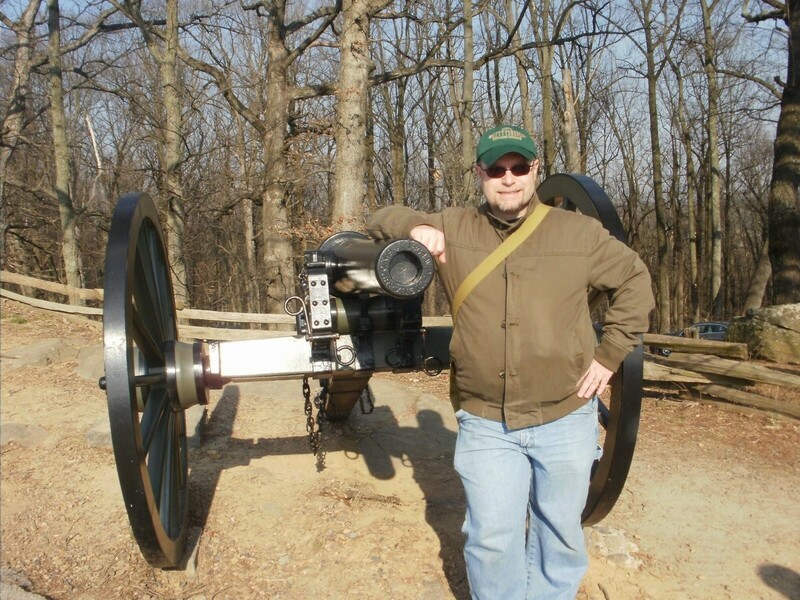 He has focused his scholarly research in U.S. military and naval history, primarily in the areas of military operations and technical development. In November 1997 he published Philadelphia Naval Shipyard, a photographic look at the historic shipyard located on League Island. In addition, Mr. Ahern has published articles in American Neptune, International Journal of Naval History, Encyclopedia of New Jersey, and Encyclopedia of the Atomic Age. In 2003 he published the article “‘We had the hose turned on us!’: Ross Gunn and the Naval Research Laboratory’s Early Research into Nuclear Propulsion, 1939–1946” in Historical Studies in the Physical and Biological Sciences. 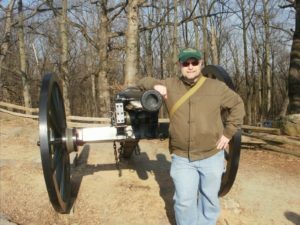 Mr. Ahern is also a regular reviewer for the Naval Historical Foundation, Army Historical Foundation, Maryland Historical Society, and Civil War Book Reviews. He is also a member of the Civil War Trust, Friends of Gettysburg, Naval Historical Foundation, and Army Historical Foundation. This entry was posted in Meeting archive on May 20, 2018 by hlj.